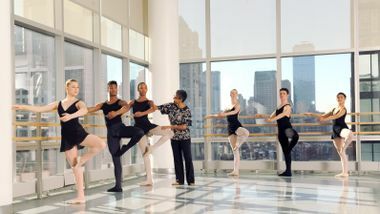 The Ailey School is the official school of the world renowned Alvin Ailey American Dance Theater. 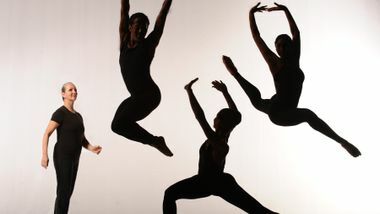 The School’s faculty is comprised of over 100 dance professionals who are experts in their fields, 40 professional musicians, and a staff of dedicated administrators and advisors. 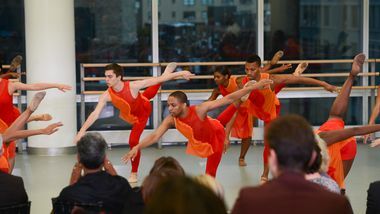 Annually, The Ailey School trains more than 3,500 students, offering over 300 classes every week in addition to performance opportunities and support services. Esteemed alumni, representing a broad spectrum of cultural backgrounds, use their unparalleled training to dance professionally, choreograph, and teach around the world. August 1, 2018 (NEW YORK CITY) —When Alvin Ailey and a small group of African American modern dancers first took the stage in 1958, appearing at New York City’s 92nd Street Y, the engagement was for one night only—but it turned out to be the start of a new era in the performing arts. Mr. Ailey became one of the groundbreaking greats in African American history, while the work of his Company grew beyond the limits of the stage to encompass education at all levels, community outreach and cultural diplomacy. Alvin Ailey American Dance Theater now embodies six decades of achievement, celebrating the human spirit with performances that unite and inspire all. 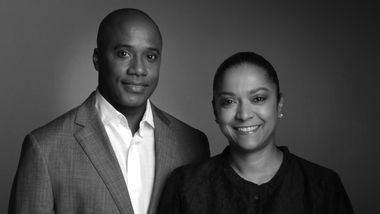 The centerpiece of Alvin Ailey American Dance Theater’s Lincoln Center engagement is The Ailey Spirit Gala on Thursday, June 15th. 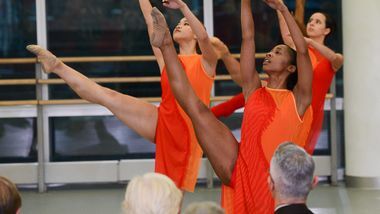 This one-night-only benefit performance and party honors Ailey Board Vice Chairman Stephen Meringoff for his longtime support of Ailey, and his instrumental role in strengthening and sustaining AileyCamp. Critically-acclaimed actor André Holland, who most recently appeared in the eight-time Oscar-nominated film Moonlight, has just been announced as Honorary Chair. Miami-raised and Fordham-educated, Ally Love is the in-area host of the Brooklyn Nets, an Adidas global ambassador, a Peloton instructor, an Alvin Ailey-trained dancer, a certified health coach and the founder of Love Squad, a company that empowers young women through panel discussions and group workouts. This season, Rennie Harris is Ailey's first-ever artist in residence and has created the company's first-ever two-act work. Pm a summer afternoon at The Ailey School's studios, a group of students go through a sequence of Horton exercises, radiating concentration and strength as they told to one side, arms outstretched and leg parallel to the ground. 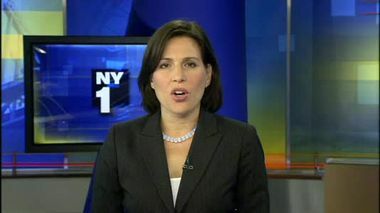 Later, in a studio down the hall, a theater dance class rehearses a lively medley of Broadway show tunes. With giant smiles and bouncy energy, students run through steps to "The Nicest Kids in Town" from Hairspray. "You gotta really scream!" teacher Judine Somerville calls out as they mime their excitement.